The regulatory process has taken about 3 months longer than we budgeted for, and that is a disappointment to say the least. In this post I’ll go over some of the obstacles we encountered, the design changes we made and the resulting improvements in safety performance. One of the safety tests required that the meter be wrapped in grounded foil and have 5400VAC applied to the terminals. This is 9 times the 600V rating and meant to simulate a lightening strike on a power line while user is measuring mains voltage. There was insufficient clearance to the screws to withstand this voltage and an arc flashed from the screw to the PCB ground plane. Designing for 5400VAC is different than designing for 600VAC. The first thing that needed to change was the bosses constraining the screws that hold the enclosure together. Previously the mating line of the screw bosses had been flush with the top of the PCB. This was extended upwards to provide clearance. 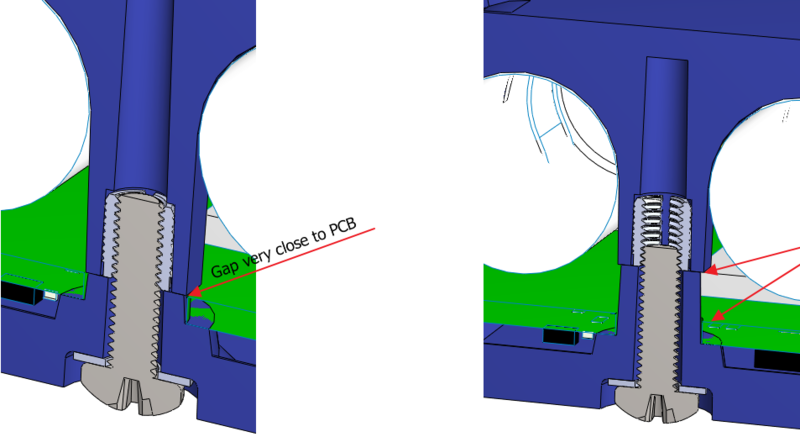 A cross section below illustrates the change. The SD card slot also became a cause for concern. At 600V, it’s absolutely fine, but at 5400VAC the air in the slot is right on the edge of breakdown. We widened the whole enclosure to give as much clearance as possible while keeping the SD card accessible and manufactured a new prototype. The safety testing that had already been done would need to be repeated. 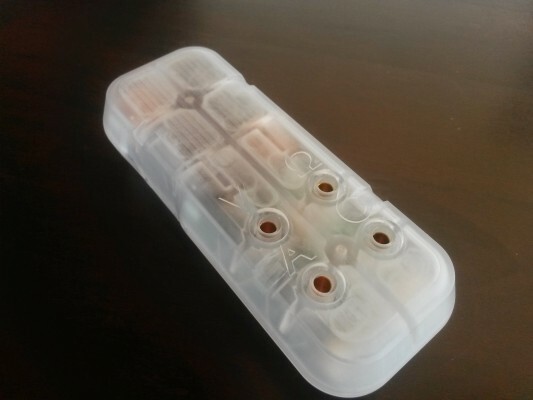 A “representative sample” had to be made in the new plastic. Making representative samples is much easier in ABS than the new plastic. For some tests, we 3D printed ABS housings. For flame and heat tests, we used commercially available stand-ins of the exact resin we would be using. 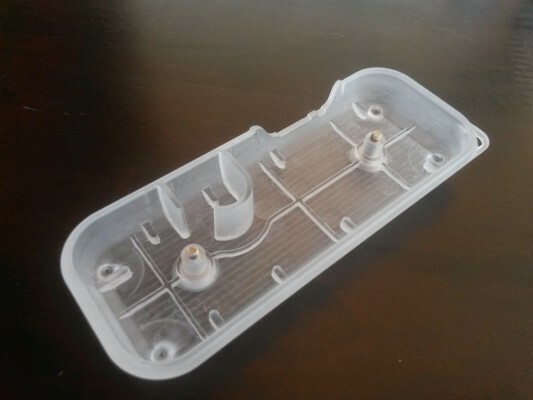 However for the new plastic, the only options were to cut our steel molds and get injection molded samples or get very expensive CNC machined copies. 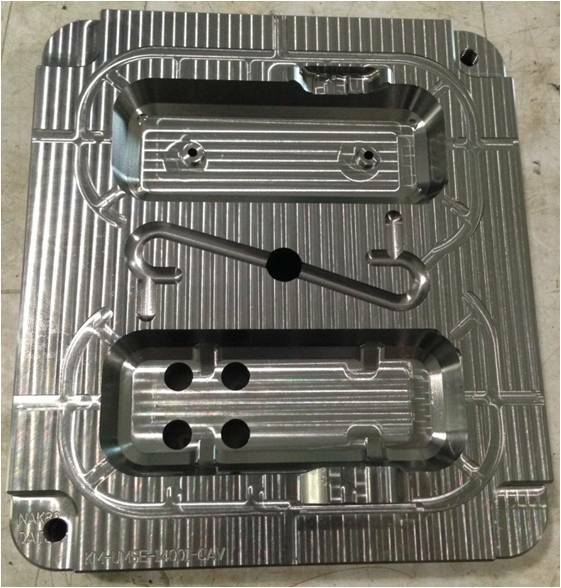 Since cutting the injection molds takes about 6 weeks and the molds are very difficult to change, we had no choice but to get machined copies. At least they were beautiful. Back in the lab with the new enclosures, the high voltage tests were applied again. As Eric mentioned in this post, the new enclosure passed. We were very happy and excited, but it was short lived. This was when we wrote the “All electrical tests passed!” post. The test lab said they were “99% confident” we had finished all the electrical tests and were going to start preparing the reports. We took this as a pass. We told our injection molding subcontractor to start cutting the molds and our electrical assembly subcontractor to start on the PCBs. 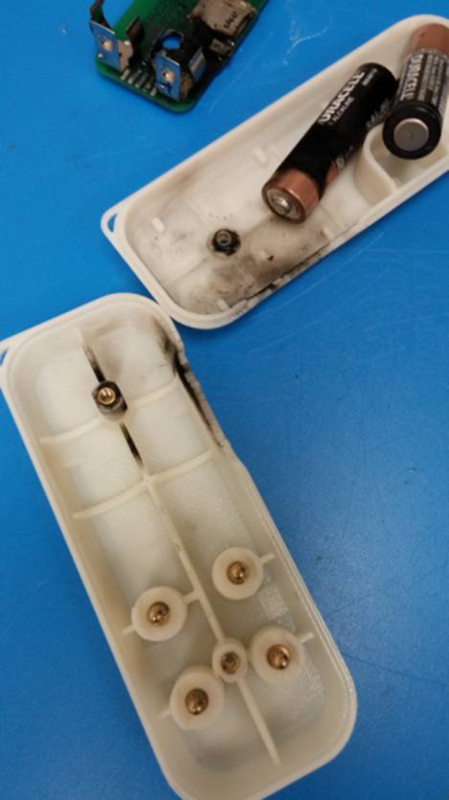 However, in the process of writing the reports, the test lab found they had overlooked the humidity preconditioning required before the high voltage electrical tests. Humidity preconditioning is where the device under test is placed in a series of hot, humid chambers for 3 days before testing. 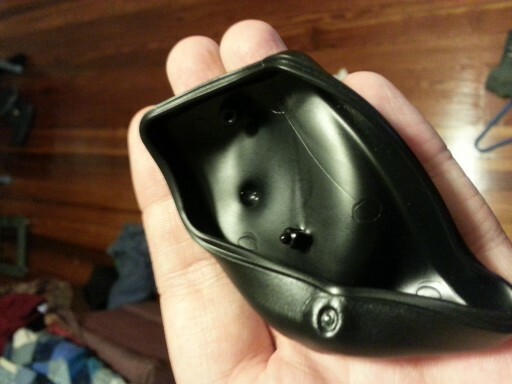 If there are water absorbing materials in the device, they will get soggy and become more conductive. 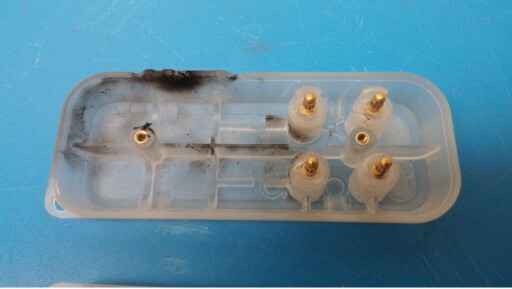 The humidity preconditioning was applied to the meter, and on its next attempt of the high voltage test, it failed because there was liquid condensate in the SD card slot, which became conductive. On review of that test, we found the humidity preconditioning was incorrectly applied. The conditioning is not supposed to leave liquid water on the device under test. This put us in the position of having an inconclusive test and a very expensive, very ruined CNC cut prototype enclosure. 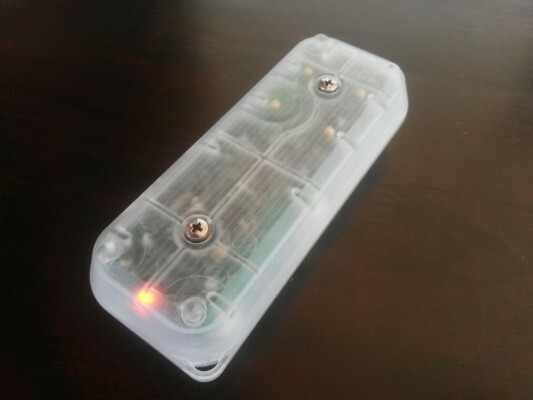 Since the test was inconclusive, we had another enclosure made and submitted it to repeat the test. 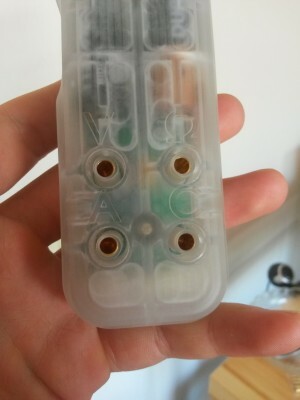 However, there was a manufacturing defect on this prototype (void in the plastic) and the high voltage arced straight through a wall of the enclosure. Between manufacturing a new enclosure, delivering it to the lab, applying humidity preconditioning and scheduling the high voltage tests this cost us another 2 weeks. Through selective application of insulating tape, we were able to test the SD card slot in the side of the enclosure again and the results were not encouraging. The clearance from the slot to the outside world is right on the edge of passing… we decided to take the conservative route and close the slot. The timing was also terrible because we had already told our plastics subcontractor to start cutting molds for the enclosures, and they were actually ahead of schedule. This left us with half finished molds for a flawed enclosure. 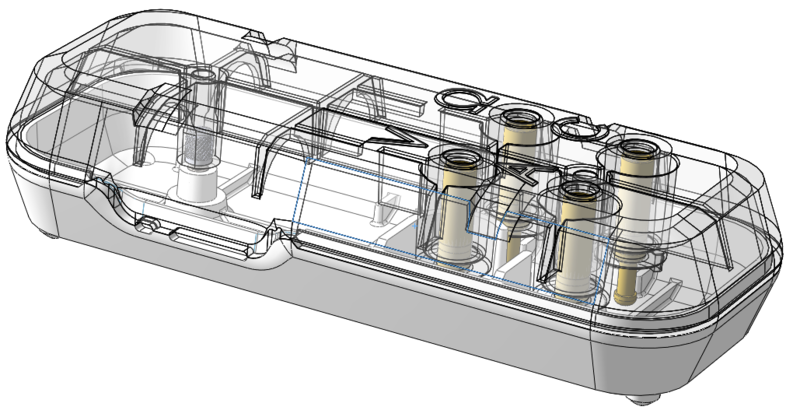 Our plastics contractor has been very flexible and understanding and can make modifications to the mold, but changing an existing mold is a much more constrained design space than creating a new mold. We’ve come up with two variations on the enclosure to close the slot. The first option has straight sides all the way around – this is attractive because it creates an easy surface to seal. With only the addition of a gasket on the outer lip and on the screws, the water resistance of the meter could be drastically increased. It also has a thin spot over the SD card in case a user really wants to void the ratings and make the SD card accessible himself. 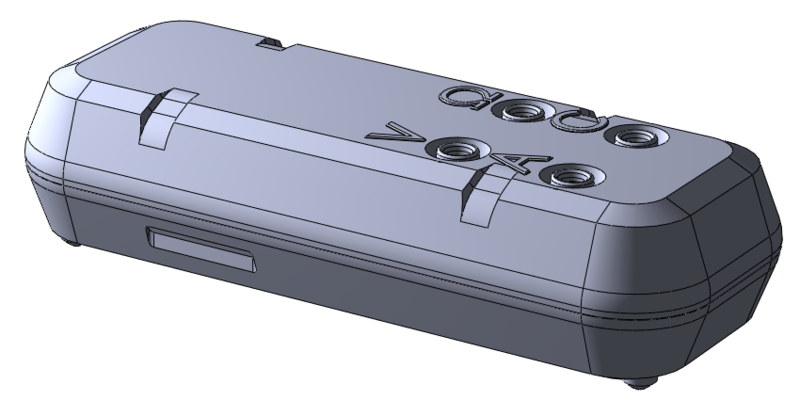 However, the modifications required in the mold to make an enclosure with straight sides would be drastic. The second option, which we will probably go with, is the careful addition of a blocking fin between the SD card slot and the PCB. This only changes one half of the enclosure, and it only adds material, which is an easy change to make in the mold. The prototype enclosure with blocked slot passed the housing dielectric tests this morning (7/30/2014). Details to follow. We are also re-evaluating our schedule to take in to account the delays. Unless all is set in stone, please take a few days break for supporters to offer solution that your team may have overlooked. The mold not set in stone, but it is set in steel. Our subcontractor won’t get to the changes outlined above for a few days, so any suggestions before then are welcome either through comment or email! I think enclosing the SD card is OK, as it might also avoid other problems in device handling as well. I’m actually not clear on the answer for that one, Seth. The standard is written such that anything that can be removed / opened / etc *without using a tool* is put in the configuration that is least favorable. Its not clear what to do in instances where something springs back automatically – do you open it, allow it to spring back, and then test? Do you tape it open? I’ve asked the experts, and I’ll let you know their response. I spoke with the folk at the test lab. They said that any sort of deformable barrier like the rubber insert you suggest would be moved out of the way during the test and then held there, even if it would naturally spring back to a safe position. The testing needs to make sure that the device is safe in all expected use cases. I had thought about trying to solve this by adding a rubber sleeve, but that would be removable. Thanks, Eric. 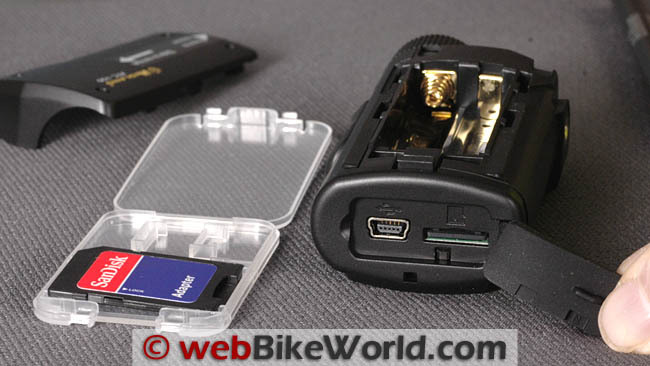 That’s ok it won’t have a quick way to access the SD card; like others have said, safety is more important than speed. Thanks for a great write up, and for taking safety so seriously. Don’t be discouraged, this kind of thing is understandable.It sounds like you are taking all appropriate steps, I would confirm all information needed before cutting steel. 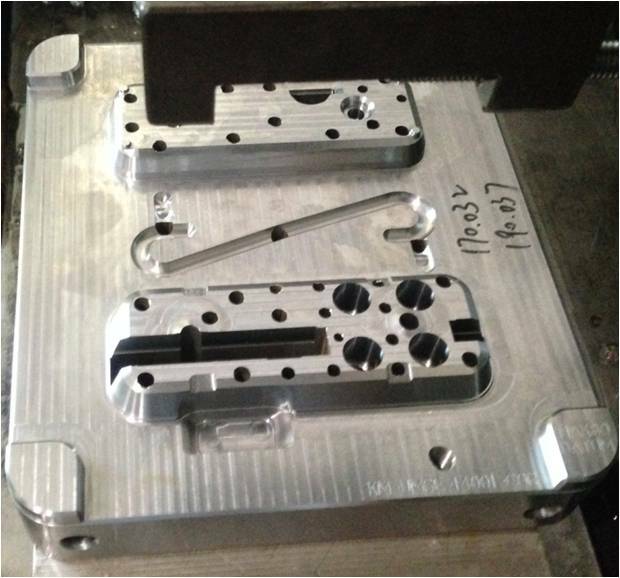 I have experience as a toolmaker and it is a difficult and expensive proposition to put steel back in a mold if needed and often results in maintenance problems with the tool in production , eroded or broken inserts, cores , ejector pins etc . 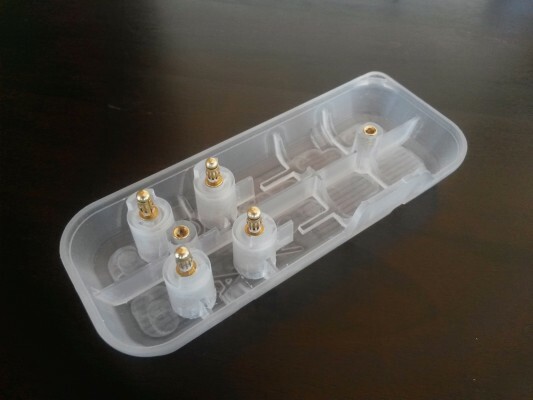 Putting inserts in is also problematic due to water line locations etc… so take an extra week if needed, I want to see these produced in large numbers and readily available. This is an excellent product and will change the way controls engineers service and troubleshoot in the field.